Sister Spokesman took a holistic approach to the topic of Black beauty at its most recent afternoon soirée. From finding the right lip color to fitness tips to a conversation on intentional and well-informed beauty consumerism, the afternoon was a flurry of activity with much food for thought. 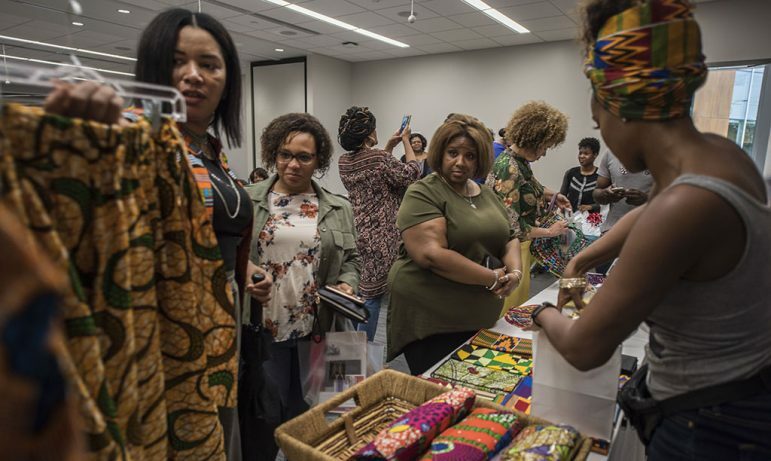 The event, held at LifeSource in North Minneapolis on Saturday, June 2, centered on a panel discussion on the business of beauty moderated by MSR Editor-in-Chief and Sadiaa Hair + Beauty Guide founder Stephenetta Harmon. “Black women spend $2 billion on beauty products. We outspend our White counterparts by 90 percent,” Harmon informed the crowd. But are Black business owners at the table when it comes to the dollars made in the beauty industry? The expert panel, consisting of Kelley Eubanks and Tephanie Delaney, founders of the upcoming Twin Cities Natural Hair & Beauty Expo; Karen Coffey, owner of Bella Beauty and Hair; and Nicole Pillow, Inner Beauty Project founder and author of the upcoming book Beyond Skin Deep: How to Apply Your God-given Beauty from the Inside Out, weighed in on some of their trials and triumphs as beauty industry entrepreneurs. Pillow rounded out the discussion by touching on her own self-discovery and how she came to embrace her natural hair. 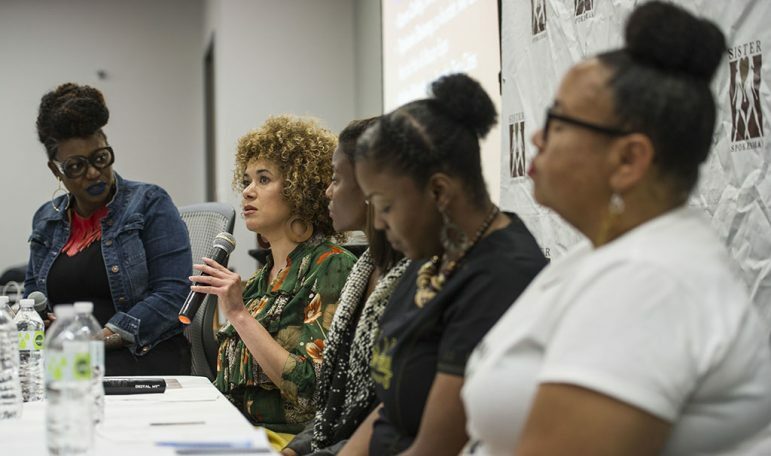 She shared that, even as she worked as a “beauty cultivator” doing workshops, conferences, and other speaking engagements to help empower women to know their inner beauty, she was reluctant, ashamed, even, to wear her natural curls in public. “I walked through a process of owning that,” said Pillow of discovering her curl power. “It’s deeper than wearing my curls; it’s owning what we’ve been given,” she said. Sprinkled in between the discussion, shopping and prize giveaways were five-minute demos from vendors MSDENISHIA and Anika Robbins offering tips on finding the right shade of lip color and easy and safe makeup application. Another highlight of the day was Brandi Phillips of Wellife 360, who took things up a notch with five-minute workday exercises that got everyone up and moving to beats by DJ Lazy T.
Sister Spokesman will take a break in July to prepare for the Fourth Annual Legacy Boat Cruise Fundraiser on August 4. For tickets, go here. To see a video stream of the event, go to Facebook/SisterSpokesman.